It has just few weeks since Apple has launched the iPhone 7 which has left a number of fans and critics unhappy with the end product. Still that has not made any dent in the Apple’s iPhone sales which is going off the shelves within a week of its launch at varied markets across the globe. A slew of rumors have started circulating about iPhone 8 and one of which proudly proclaims that it will feature an advanced wireless charging capability. One of the main manufacturing partners of Apple namely Foxconn is effectively working on developing wireless charging modules for the next year’s iPhone iteration. Wireless charging isn’t a bright new concept or other OEMs have not experimented with it at all. Rather it was the Samsung which first brought the wireless charging support in the flagship devices just a few years ago. But given the fact that this will be the first time that iPhone will feature the wireless charging support has helped in creating a buzz among the fans and critics. Among the range of Apple products only Apple Watch has so far made use of the wireless charging technology. It is worth noting that Apple has been hiring a number of engineers right from the wireless charging technologies in order to bring a more secured and effective wireless charging capability to its range of devices. Foxconn on other hand tried to subdue the rumors by stating that it has already strated manufacturing the wireless charging modules for iPhone 8 but it shouldn’t be taken as a sign it will be brought right into the commercial version of the device. 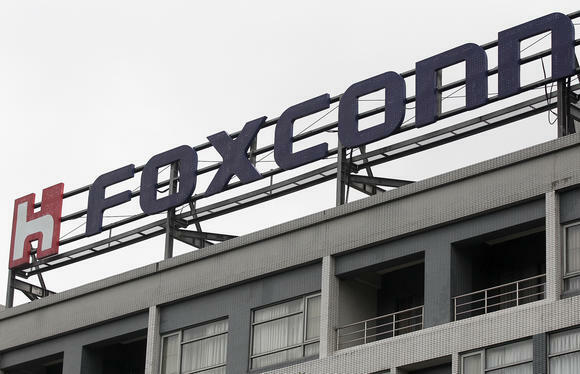 The possible inclusion of the wireless charging capability to the iPhone will depend upon the rate at which Foxconn can increase its yield or wireless charging itself works in the most user friendly manner. Several reports have emerged in the past couple of months which has hinted towards the possible utilization of OLED based display for upcoming iPhone. These reports have stated in detail that front face of the device will be covered in glass which will allow users to tap even around the screen. The Touch ID finger print sensor will be placed right below the display screen or in simple words it will be artistically baked into the glass. No confirmation has been made by the Apple regarding the possible use of OLED panels in iPhone 8. But the president of Sharp has accidently leaked this by speaking with the students at the Tating University where he specifically mentioned that even iPhone is moving towards OLED panels. However he didn’t say whether Apple is buying its OLED panels or not for the iPhone 8. Bringing OLED screen to the iPhone will not just bring a better and brighter display to the consumers but it also help in keeping the device sleek and slim.